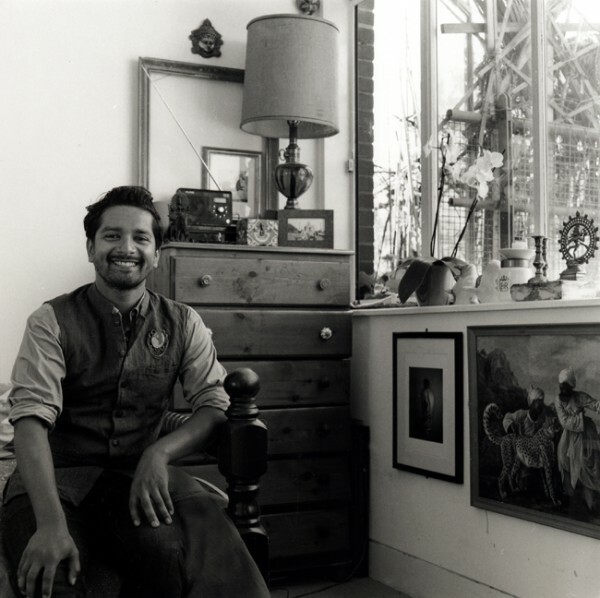 This is Delwar Hussain in his long attic room at the very top of the family house in Puma Court where he grew up. Within the shadow of Christ Church, Delwar’s window overlooks the rooftops of the old houses at the heart of Spitalfields. 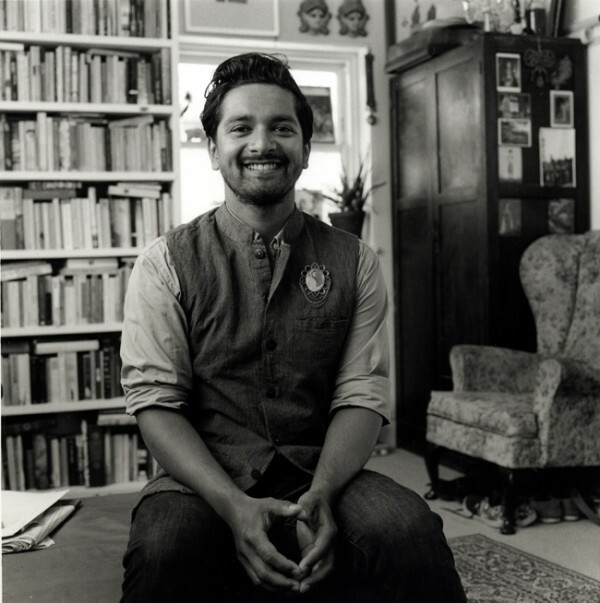 Downstairs, his mother tends to the tiny courtyard garden, while his sister’s children play up and down the stairs but, up here in the quiet, Delwar presides over his own intellectual territory, defined by the enormous crowded bookshelf that fills an entire wall at one end of the room. 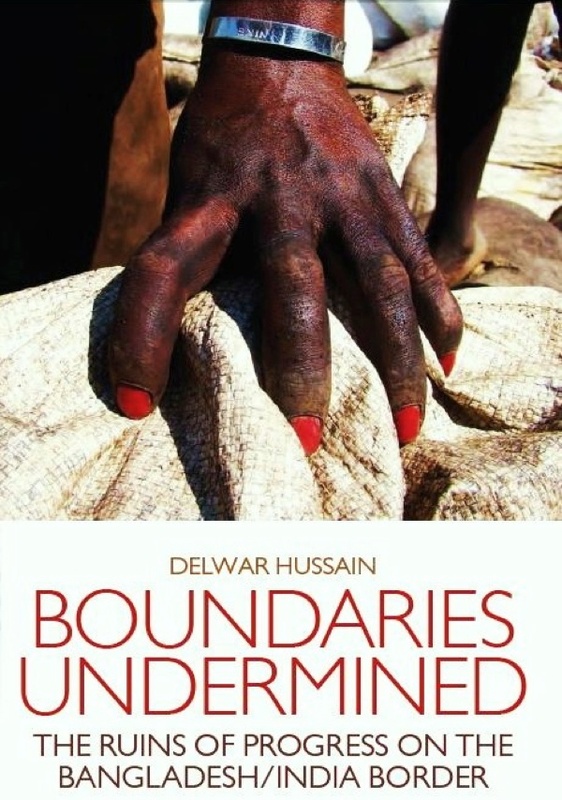 Delwar’s perspective is upon borderland, yet not just with the City of London that is visible from his eyrie but across continents to the land of of his family’s origin and the boundary between India and Bangladesh, where Delwar spent two years conducting interviews to write his first book Boundaries Undermined, completed as the culminate of his doctorate at Cambridge University. With its eloquent authoritative prose and generous shrewd sensibility, it is a strong debut – a highly readable book of real stature, introducing an important subject of international significance that was previously unexplored. Yet the wonder is that Delwar can still inhabit his childhood world in Spitalfields with ease, overseeing his nephews and nieces playing in Puma Court and reconciling this with his intellectual endeavours as Writer, Anthropologist and occasional Correspondent for The Guardian upon Bangladeshi affairs. Thus our conversation was interrupted by a nephew seeking Delwar’s signature upon a note for his teacher, the house cat entering and stretching out upon the floor, and the general hullabaloo of busy family life – all without any disruption to Delwar’s line of thought as he told me his story. “I was born in the Royal London Hospital in Whitechapel. My grandfather came to this country first, when he was in the Merchant Navy. My father came in the sixties, he worked in the garment trade and my mother joined him in the seventies. When I was born, they were living in one of the big old houses in New Rd and I still have an affection for houses with a step up to the front door because of that. Then we moved here to Puma Court in the late eighties. The book came out of my Phd thesis looking at borders. 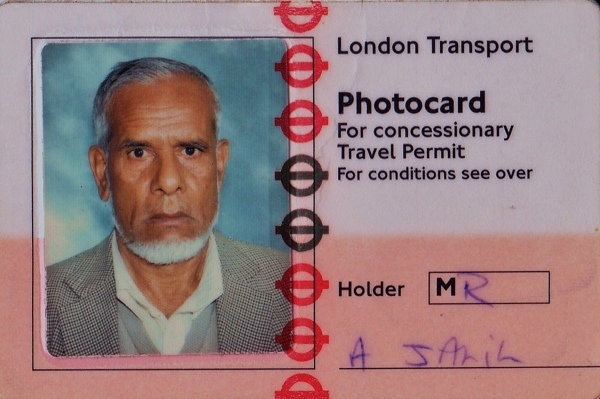 I think I am interested in borders because I grew up in Spitalfields where there are so many borders, not just the one with the City but borders of ethnicity and class too. Growing up in a borderland, I’ve always been comfortable crossing boundaries, and I am fascinated by how different kinds of people can live together and form a life together in such places. So I thought my upbringing was a preparation for going to the border region where India is building a two-and-a-half-thousand mile barbed-wire fence around Bangladesh. I turned up in Boropani, this village in the coal-mining region, where the mines are in India and the miners on the Bangladeshi side. The miners have to pay the border guards and cross the border illegally every day just to go to work. I wrote about these people and how their lives are there. Yet Spitalfields did not prepare me for what I found. It is is one of the most dangerous border regions of the world – one of the most violent places I’ve been, comparable to the East End in the nineteenth century – where killings are a regular occurrence but where somehow people carry on their lives. The nature of work is changing there, people who were once peasant farmers have lost their land to soil erosion and their homes to floods. The circumstances reflected issues of globalisation – climate change destroying land and people forced to work in Indian coal mines that are supplying China with power for industry. At this moment of the publication of his first book, I asked Delwar whether he considers himself more of an Anthropologist or a Writer. “Often Anthropologists are more interested in theories and arguing about those, rather than the people they claim to be interested in,” he assured me with a significant frown, “whereas Writers tend to be more interested in people than the theories.” If I had not guessed it already, it was ample confirmation of where Delwar’s sympathy lies. Family portrait at a studio in Vallance Rd, 1980. 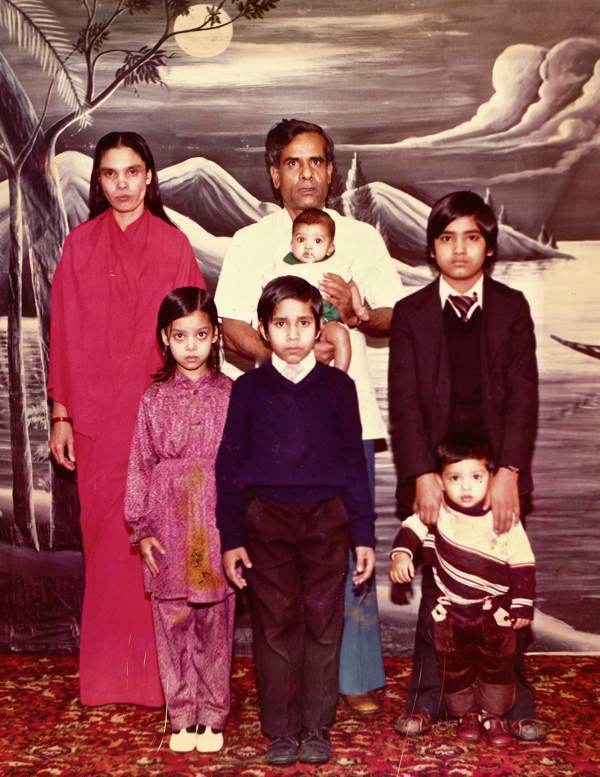 From left to right - Arful Nessa (mother), Haji Abdul Jalil (father), Hafsa Begum (sister), Rahana Begum (sister), Faruk Miah (cousin), Shiraz Miah (cousin) and Delwar Hussain. Brick Lane boy done good, innit! Very interesting. Certainly a book I’ll think of ordering as soon as I’ve decluttered my bookshelves. The study sounds absolutely fascinating and the idea of ‘boundaries’ is a novel way of approaching changing social structure. Kudos! What an inspiration to us all! How amusing that whilst at Cambridge Delwar was told that he was ” deprived”. His life sounds so rich and interesting , I wish him every success. Amazing writing and reflexivity, I feel very proud to know you and eagerly waiting to read your writings, May Allah keep-fit you always to share your scholarships to us. Thank you for a well-written piece about a fascinating person. Love the pictures. Next stop, Amazon, for a copy of the BOUNDARIES UNDERMINED. Yes, Anthropologists are often concerned with bringing answers of the past to the present. 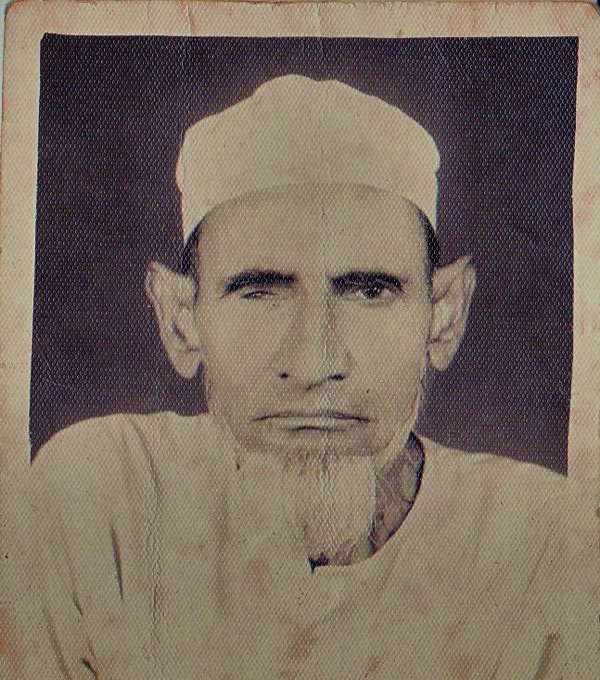 Delwar’s time and experiences in Bangladesh; recording what he witnessed, interviewing and researches – is more like a present day Social Historian. Appalling to learn of India’s encircling Bangladesh with a massive barbed-wire fence – and of all the ramifications that brings. Boundaries Undermined has gone to the top of my book list.